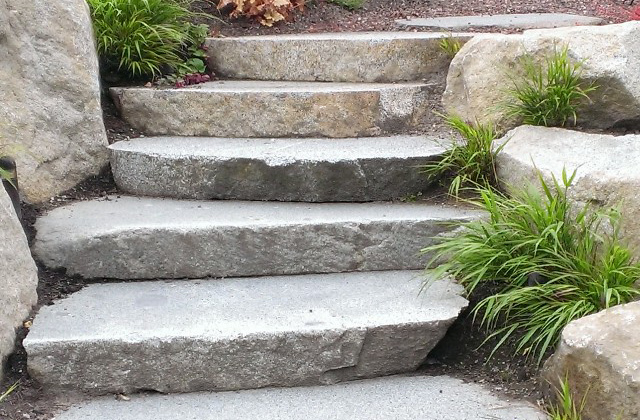 This stone step is sawn top and bottom and thermaled for slip resistance with all natural weathered edges. A salt and pepper coloring is typical with some beige weathering tones. 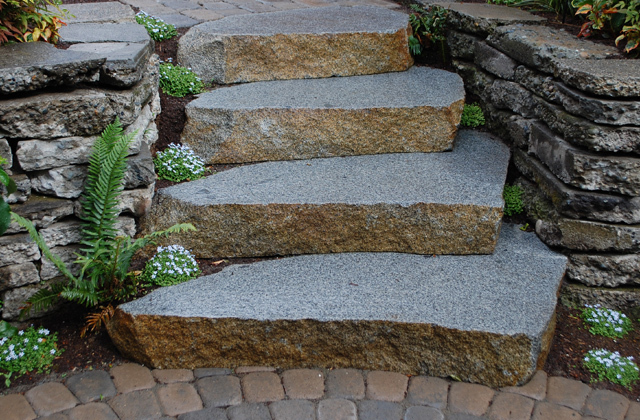 Stone is sold by the ton and can measure any dimension while trying to keep it near a step sizing in a consistent 6-1/4″ thickness.